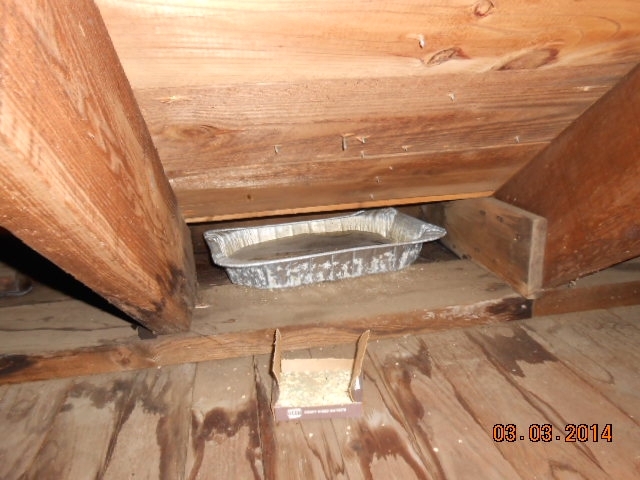 On a recent inspection of an attic from a customer complaining about carpenter ants I discovered this unique solution to a roof leak. However, it did not keep the Carpenter ants from nesting in the soffits. The carpenter ants were foraging all over the home. When we looked closer at the area where the leak was we discovered that there was damage due to moisture at the decking and eves due to a leak at the gutters. When we opened the area a large carpenter ant colony was discovered. We treated the area, made the repairs and put the customer under a warranty. Most folks do not realize that the winter time and cold weather bring rats and mice into the home seeking food and warmt. Entry points include a garage door that has a gap or a small hole at the side of your home that allows them to enter. Rodents can contaminate food, put droppings in all areas of cabinets, silverware and stored products. It is important to get your home rodent proofed for the winter. Especially if you know that you experienced this problem in the past. Termite damage discovered at sale of home. 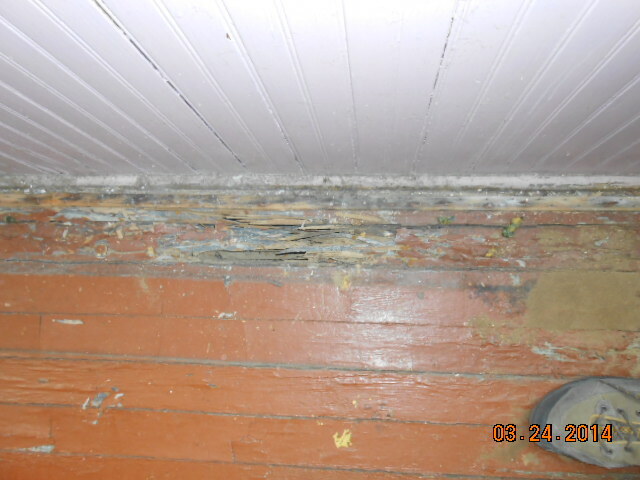 Termites almost always enter through a dirt filled porch or attached slab. 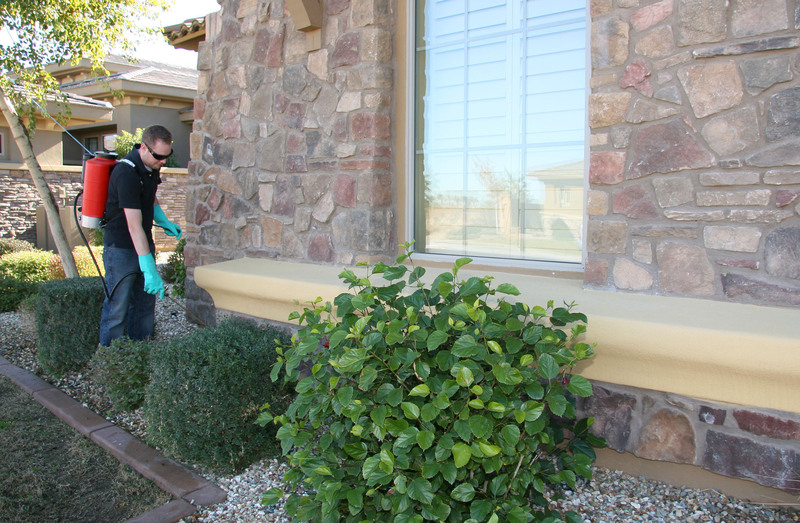 The front entry serves as a great entry point for the termites to enter the home. The dirt fill comes right up to the sill plate and provides access to your framing members. Before selling your home it is a good idea to have a termite and home inspection prior to listing in order to fix what is needed before the home goes on the market. Carpenter Ants found under toilet. Carpenter ants love moisture. And they love moist wood. 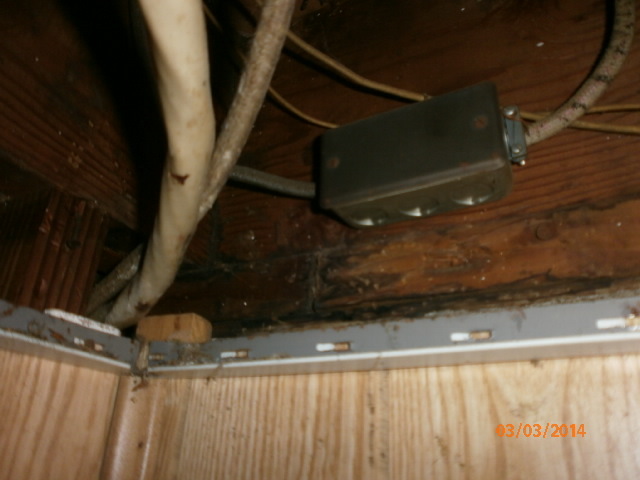 A leak discovered under the toilet in a Hamilton NJ home by Rick Pettit an Eastern Pest Control inspector determined that the wax seal inside the toilet rim deteriorated and allowed water to leak into the adjacent sub flooring and wall board area. The area was excavated, dried and treated with a crack and crevice liquid application. There was a substantial colony living in the wall. 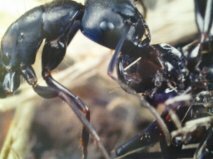 Carpenter ants can do substantial damage to framing members with the help of a water source that is leaking. 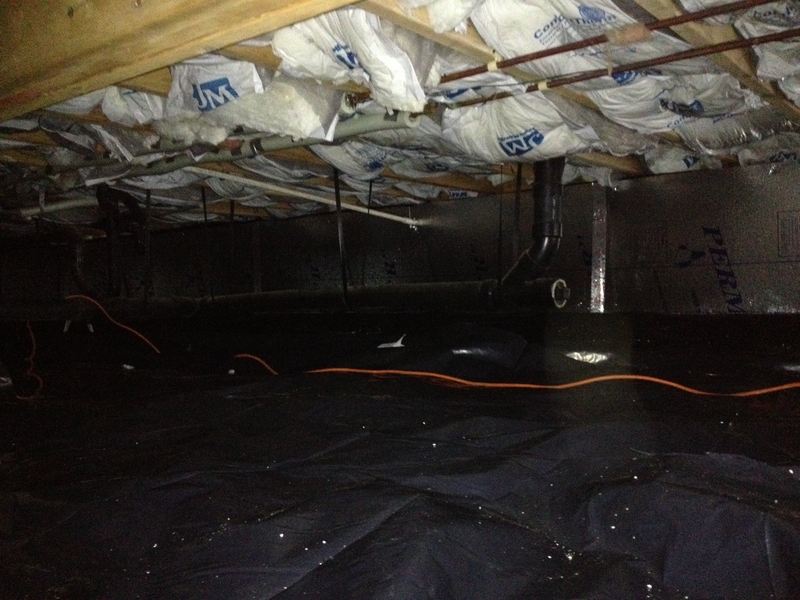 Here is a picture of termite workers in the colony. 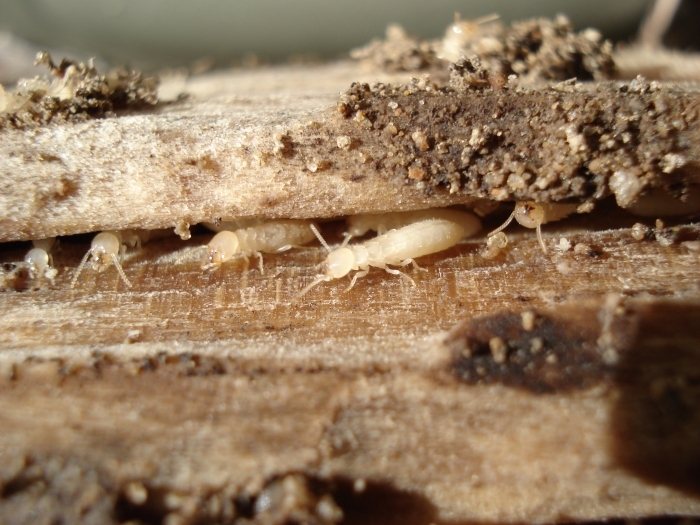 Depending on the size of the colony termites can damage sills, studs, all types of framing materials. The repairs can be small if caught or very expensive if the home is left untreated. 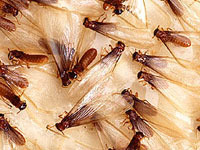 If you think you have termites call us for a free inspection.